The Model EU2230 features high quality European designed and inspired sliding bypass doors, featuring 4mm tempered frosted glass up to four times stronger than regular glass. The frosted glass design allows for privacy as well as natural light to enter the room. Constructed using a prefinished high quality engineered wood, our Urban doors are durable and scratch resistant featuring an authentic wood grain finish. Renin doors feature Tool Free Dial-Adjust Roller, bottom trackless design and finished on both sides. The Model EU2230 features high quality European designed and inspired sliding bypass doors, featuring 4mm tempered frosted glass up to four times stronger than regular glass. 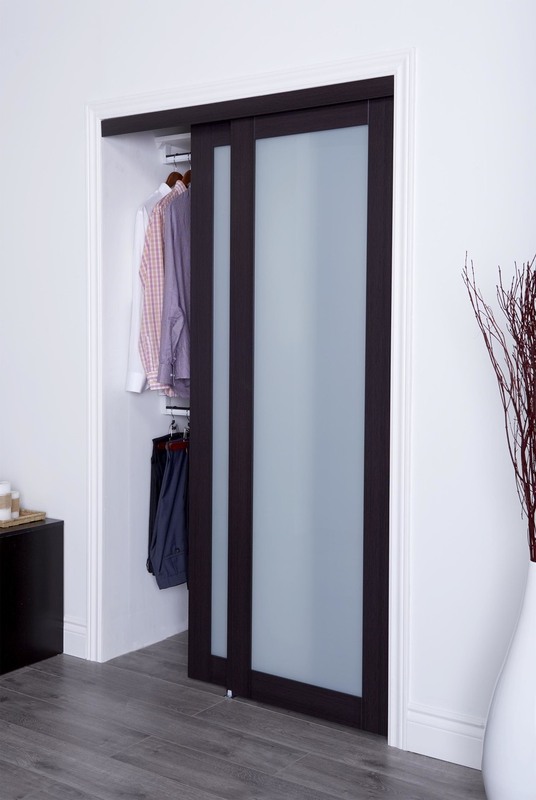 The frosted glass design allows	… for privacy as well as natural light to enter the room. Constructed using a prefinished high quality engineered wood, our Urban doors are durable and scratch resistant featuring an authentic wood grain finish. Renin doors feature Tool Free Dial-Adjust Roller, bottom trackless design and finished on both sides. How many Panels will I have for my doors? Bi-fold Doors are available in 2-panel units for 24”, 30” and 36” standard openings. Bi-fold Door openings of 48”, 60” and 72” wide, you will need to order (2) 2-panel units, 24”, 30”, and 36” respectively. 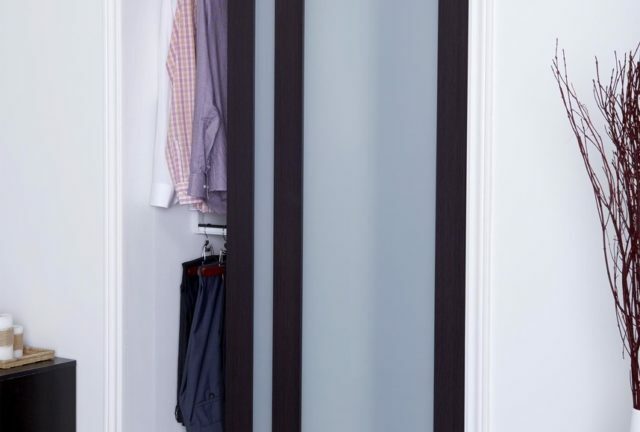 What are Renin’s standard closet sizes? © 2019 Renin. All rights reserved.